Bluebell Films has announced the October release of two rarely seen thrillers from 2003. The Poet explores a guilty conscience of a professional assassin who becomes intrigued by the life of his latest victim, while Devil's Gate is the story of a girl who is tricked back to her dangerous home town after leaving in search of her mother. 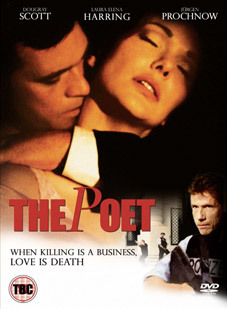 The Poet is a lyrical tragedy set in France, Austria and Germany, poetically directed by Paul Hills (Boston Kickout, Do Elephants Play). Rick (Andrew Lee Potts – Primeval), a promising young artist, inadvertently enters an active crime scene and is gunned down in central Vienna by hired assassin, Andrei Loesin (Dougray Scott – Mission Impossible II). When Andrei visits the opening of a show of the dead artist he becomes fascinated with his life and starts a relationship with Rick's sister, Paula (Laura Elena Harring – Mulholland Drive). Detective Inspector Vashon (Jurgen Procnow – Das Boot) investigates the murder. Can Andrei free himself from the relationship before Vashon catches him or will Andrei confess his crime to Paula? 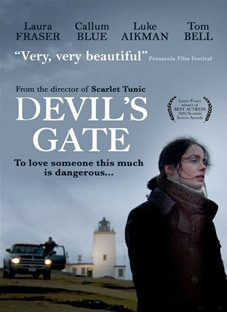 Devil's Gate is the story of a woman, Rachael, (Laura Fraser – A Knight's Tale) who ran away from her hometown as a young girl, in search of her mother and vowed never to return. Five years later she is contacted by ex-boyfriend Rafe, (Callum Blue – Dead Like Me) who persuades her to return to the small foreboding island in the Shetland Isles, under the pretense her father Jake (Tom Bell – The Krays) is dying. Matt (Luke Aikman – Freight), a city-boy, island hopping to take in the festival of fire, hears that she has been tricked. A love triangle forms, with Rachael, the least interested and keen to leave. Can Matt ensure her safety? Assuredly directed by Stuart St. Paul (Scarlet Tunic, Freight), this is a thriller where nothing is what it seems, and no one will be the same again as the truth begins to surface in very dangerous circumstances. Both The Poet and Devil's Gate will be released individually on UK DVD by Bluebell Films on 31st october 2011 at the RRP of £14.99 each.